Landlords are all about Net Worth! It’s not difficult to assume Net worth is the magical number for the landlords. I have seen myself keep making a rough estimate of the value of all my properties less the mortgage to come to the approximate amount I can get if I sell today! Whenever I see a neighbourhood property sold, I keep revising that estimate. It’s fun, isn’t it? It’s a feeling of satisfaction when you see your hard-earned investment and hassle of being a landlord grow in tens of thousands (Hope for a million!) of dollars. It’s worth being engaged in such activities. Because It’d improve your focus, may give you new ideas to further your progress. Net worth tracking is immensely important for Landlords. As landlords net worth grows, so grows landlord’s capacity to take more risks in purchasing more properties and power to leverage. However, What I have seen over time, is, just calculating the value of the properties less the mortgage balance would not give you the exact picture of your net worth. You may have your personal savings and investment accounts. Most people always keep some balance in their checking account and emergency funds. You would have your credit card or car loan. These numbers would keep fluctuating on the monthly basis. To get the wholesome picture in your mind is not always easy. Also when you transact your personal income plus rents and all the expenses from your personal and business accounts month-by-month, it’s important to be organized to keep everything under your control. Not only you pay penalty each time you miss the bill payment, psychologically you become complacent with the situation which is costing you your hard-earned money. This opens the door for more missed payments in future and, in turns, more penalty. I have described general features of all the 3 program. I’d strongly advise you to enroll and start using any of the three programs. Eventually, you would find which one is best suited for your requirement. This is a personal finance tool to keep track of all your numbers and my first choice as you can also track the value of your property here as its attached with Zillow Home Price Index. It’s free for you to use. It synchronizes all your accounts to give you a wholesome picture of your savings, your investment accounts, retirement savings, equity plus appreciation accumulated in your primary residence and investment properties and so on. You can also attach all your bills and get bill alerts. 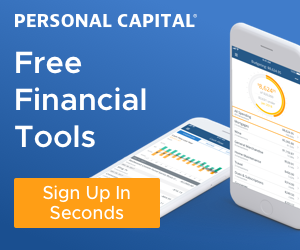 Personal Capital is not available for Canadian consumer at the moment. Like Personal Capital, Mint is also free to use. Most of the features are similar to Personal Capital, except, It’s available for Canadians and it won’t track your home value as it’s not attached with Zillow HPI. The screenshot gives you the glimpse of what kind of help you would get if you register. YNAB charges $6.99/month. But billed annually, and it comes with 30 days no risk, money-back guarantee. This tool weighs exclusively on budgeting. This what they claim on their website. If you use YNAB, you’d still need something else to keep track of your net worth and bills. YNAB is available in the US and Canada, both. Conclusion: Even if you do not own any real estate, it’s worth to start using above-suggested tools to keep track of your numbers. There are many other programs available online. It helps you to remain focused on your financial health. Once You get into the habit of tracking your own numbers, you would find the path to use your numbers to your own advantage.